When Zoe from Playing by the book asked for contributions to the I Can Read carnival she is hosting from 13 to 17 May, I thought at first about what books I could review. But then, I decided that maybe I should talk about our own family’s experience of early reading. I have a son (8) and a daughter (6) so both have already learnt to read and although they have very similar abilities, they approach reading in very different ways. My son is an able but reluctant reader. Well, reluctant might be a bit harsh; he is a lazy reader and a picky one. My daughter is also an able reader, even more so than her brother, and very enthusiastic about books and reading in general, but despite much praise and encouragement both from ourselves and her teachers, she still lacks faith and confidence in her ability to read longer books. So, although I have been lucky to have two children who have not struggled with learning to read, it is still not without challenges. Looking back at my son’s reading a few years ago and my daughter’s in the last year, three series have dominated their choices as far as early readers are concerned and these are the ones I want to talk about today. Every time a friend or acquaintance asks me for recommendations for early readers, those are the three that come to mind. Written by the amazing Allan Ahlberg, this series is one of the Library Mice household’s all-time favourites, and both my children have read through twenty titles of this series, sometimes several a night. Each title of this classical series focuses on one family and the humorous alliterated titles set the tone for the stories which are great fun. 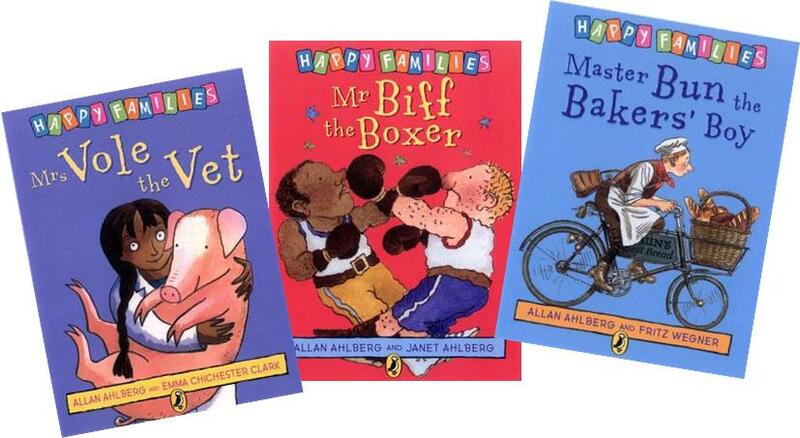 Many much acclaimed and award-winning illustrators participated in the series, including the much missed Janet Ahlberg, Tony Ross and Colin McNaughton. Originally written as early reader books, they are also fantastic read-alouds for preschoolers. This will allow the children to familiarise themselves with the stories and help the decoding of stories in early reading stages. This extensive series (over 200 books) of early readers is graded in seven levels of reading ability and includes a wide range of fiction and non-fiction texts. At home, my children have particularly enjoyed the retellings of traditional tales, and especially my daughter with (surprise, surprise) the fairy-tales, such as Cinderella and Rapunzel (which I reviewed here) and other “pink” titles such as Stories of Dolls. I think they particularly enjoyed the format of the books; they are hardback and have a ribbon marker which I think made they feel quite grown-up and boosted their confidence. The font is very clear and large, and all stories are split into chapters which also helps build reading stamina. There is something for everyone’s taste in this series and the clear grading makes it easy for parents to find books that will be suitable for their children. The strength of this series is that Usborne have succeeded in creating graded books that look very different from reading schemes at school. For this reason this is a perfect series to use at home for leisure reading while children are learning to read. 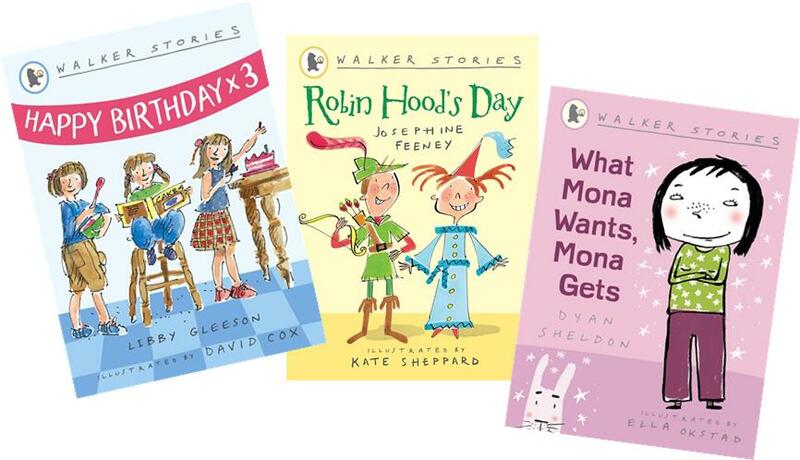 This series from Walker is, I think, for children who have acquired a bit more reading stamina. Each book is heavily illustrated and includes three individual stories linked by the main character. 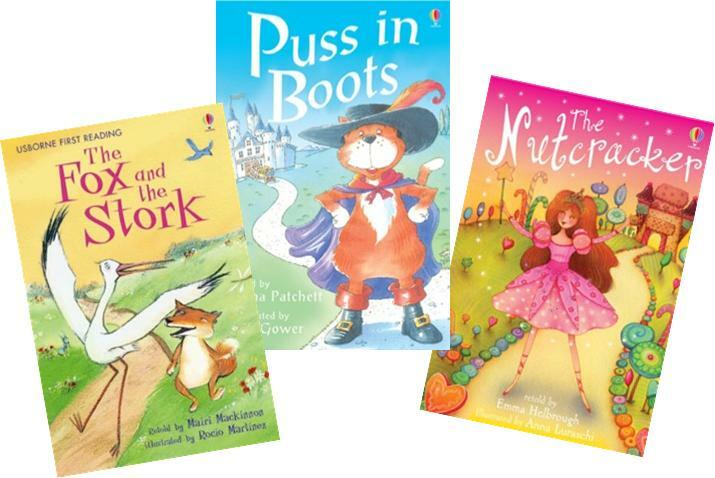 The stories are fun and engaging and again are great at building confidence for early readers. Walker Books prove here again just how good they are at design with a very attractive series which has a very unusual format; these books look “grown-up”, and we all know how important this is at boosting readers confidence. Contributors include well-know authors and illustrators such as Mara Bergman and Eileen Browne, and there is enough to cater for all tastes. and I hope this post will allow more families to discover and enjoy these great series! 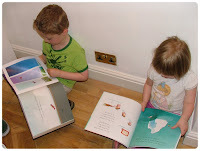 M has all the Happy Families books and loves them, and we have some of the Usborne ones and they too are a big hit – you are right about the format being so good, as well as the content. I don’t know the Walker stories, but given I couldn’t agree more with you about the first two, I shall definitely be looking for your third recommendation!